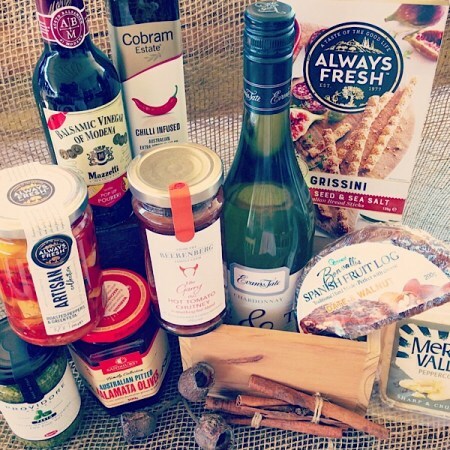 This Gourmet hamper is filled to the brim with delectable artisan food items. best enjoyed whilst entertaining and sharing with friends and family. includes cheese, crackers, chutney, fruit & nut log, olives, white wine, and much more! Presented in a hamper tray and gift wrapped specially for you. Please note that food items may vary slightly from picture but will be substituted with other items at equal or greater value.